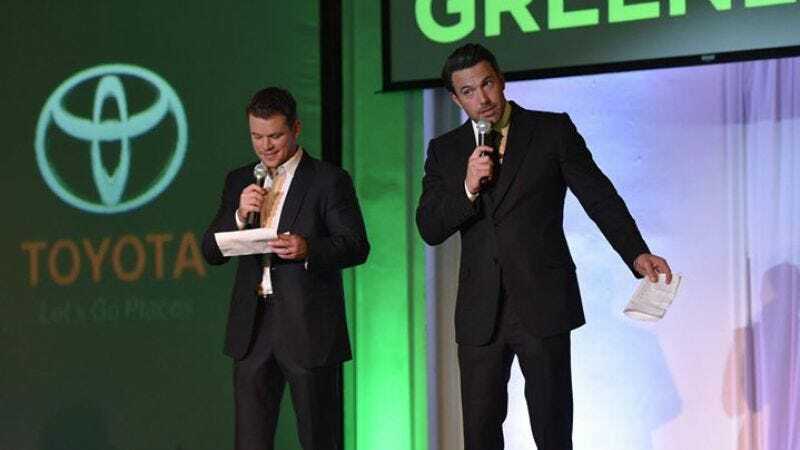 It’s been 10 years between Project Greenlight seasons, but despite a few tweaks here and there, it remains a very entertaining reality show almost completely incompatible with its stated goal of producing a good movie. The first episode of the fourth season begins with producers Matt Damon and Ben Affleck reintroducing the concept: It’s “a documentary about what it really takes to make a movie,” Affleck says, but there are already dozen if not hundreds of those and Project Greenlight is no Burden Of Dreams or Hearts Of Darkness. This is a reality competition series, albeit the only one where the winner is crowned in the first episode. Inevitably, that moment is as good as it ever gets for that lucky individual (or team), as the rest of the season is devoted to documenting every filmmaking foible and raging case of creative differences along the way. The premiere episode always provides juicy opportunities for second-guessing as the contestants are winnowed down and a winner selected. This time there is no separate screenwriting competition; the winner will be directing a script already chosen by Damon, Affleck, and the rest of their production team. (That team does not include Chris Moore, the memorable “villain” of Greenlight’s original run, who has defected to the similar Starz series The Chair.) Since that screenplay is a broad comedy called Not Another Pretty Woman (which will have a $3 million budget courtesy of HBO), Bobby and Peter Farrelly are on board to oversee the project, with season one winner Pete Jones lending a hand with rewrites. From thousands of submissions, the production group chooses thirteen finalists, all of whom are given the same scene to film as they see fit. The Greenlight team isn’t just choosing a director, of course; they’re also picking the star of their show and thus determining the entire shape of the season. A Project Greenlight centered on the earnest, enthusiastic Marko Slavnic is going to play very differently than one starring Adriano Valentini, who shows up with his bro squad as if he’s under the impression HBO is reviving Entourage. For pure soap opera, the best choice might be former couple Ashley Barnhill and Kirk Johnson, who broke up before Ashley made the “oversight” of submitting their film as a solo effort. And maybe a little consideration could be given to diversity after three seasons helmed by white dudes. That latter point is stressed by line producer Effie Brown, a black woman who pushes for the team of Leo and Kristen, the only participants to express concern over the portrayal of a prostitute named Harmony in Not Another Pretty Woman. Things get a bit heated between Brown and Damon, who makes the dubious assertion that diversity is best attained through the casting of the movie, not the casting of the show. Despite his insistence that the best filmmaker be chosen completely on merit, however, he also has an obligation as a television producer to cast a compelling lead character (or characters) for his TV show. In this case, it turns out to be another white dude. Maybe Jason Mann’s Not Another Pretty Woman will turn out to be a masterpiece. Stranger things have happened, but ultimately the quality of the film itself is barely relevant when it comes to our enjoyment of Project Greenlight. 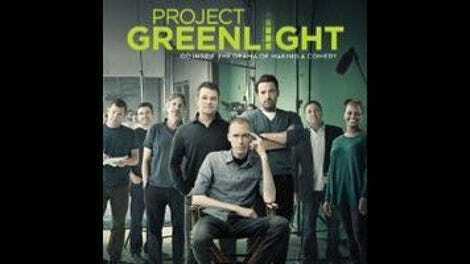 It’s the behind-the-scenes creative conflicts and seat-of-the-pants problem-solving that have made it such an enjoyable series in the past, and the prospect of this artsy, headstrong young filmmaker butting heads with the populist Farrellys is a strong indication that the return of Project Greenlight is long overdue. Seriously, what took them so long? Despite the title, this is actually the 35th episode of Project Greenlight. Evidently HBO isn’t counting the third season (which aired on Bravo), even though their website refers to this as the fourth. Affleck is noticeably bulked up, presumably to play Batman, although he jokes that he had to get in shape because Greenlight was coming back. Beanie Bros is based on true events. Obviously.